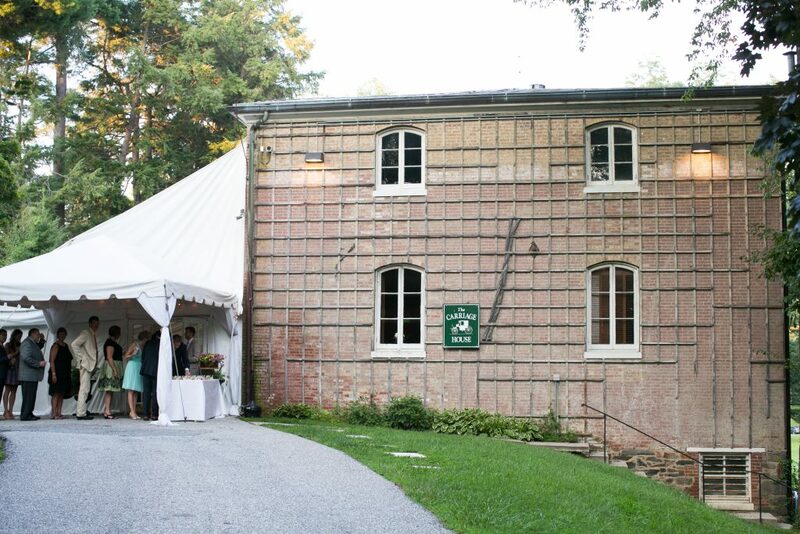 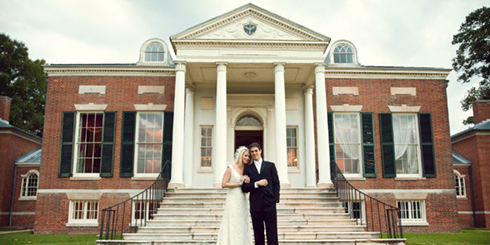 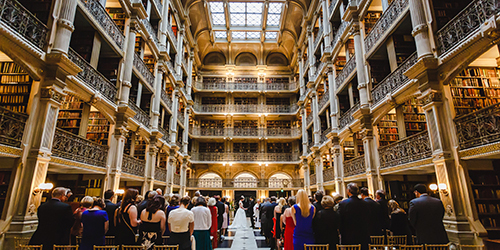 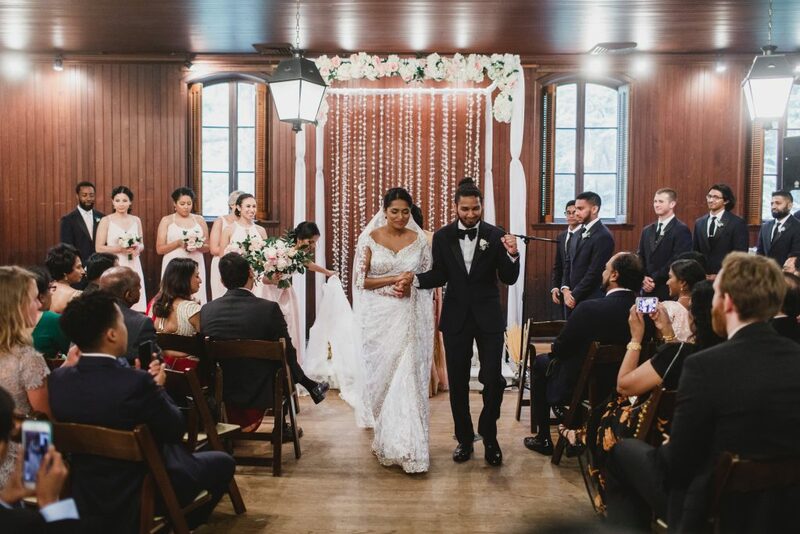 Located in a serene and timeless tree-lined setting just north of downtown Baltimore, Evergreen Museum & Library provides a diverse and customizable array of outdoor and indoor settings for your wedding day. 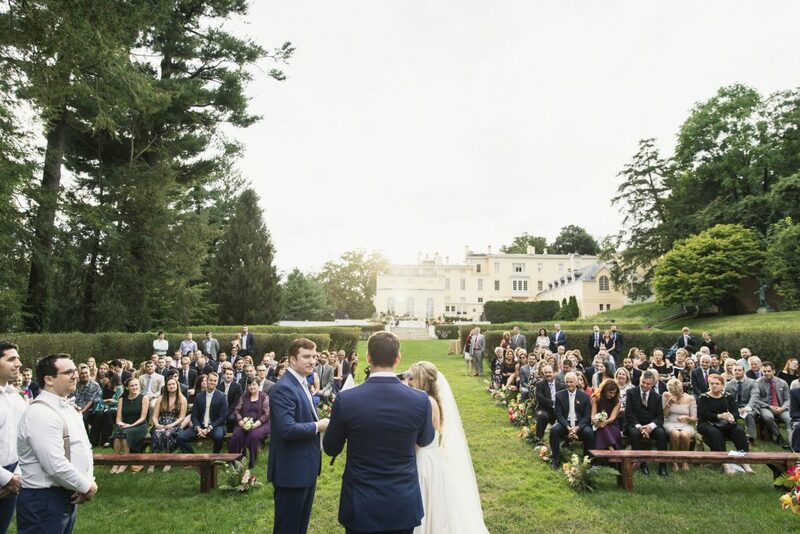 The estate features a magnificent 19th-century Gilded Age Mansion surrounded by elegant and manicured gardens and a sprawling terrace, perfect for a wedding ceremony and/or cocktail hour. 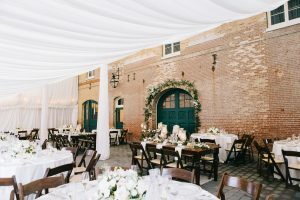 The grounds also include a charming and rustic Carriage House with exposed brick and original woodwork, a unique indoor location for dinner and dancing. 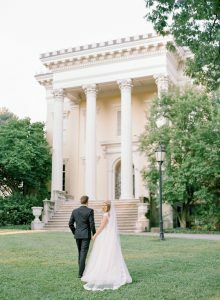 Evergreen Museum & Library is a nationally registered historic property that boasts beautifully maintained grounds reminiscent of the European countryside for ceremonies and outdoor celebrations. 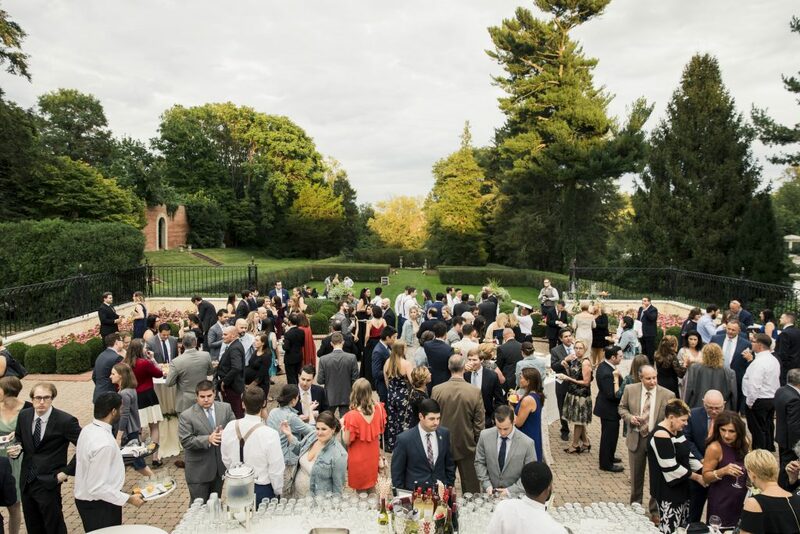 The property celebrates the legacy of John Garrett (president of the B&O Railroad) and his family’s impeccable eye for landscape design, architectural detail, and artisanship. 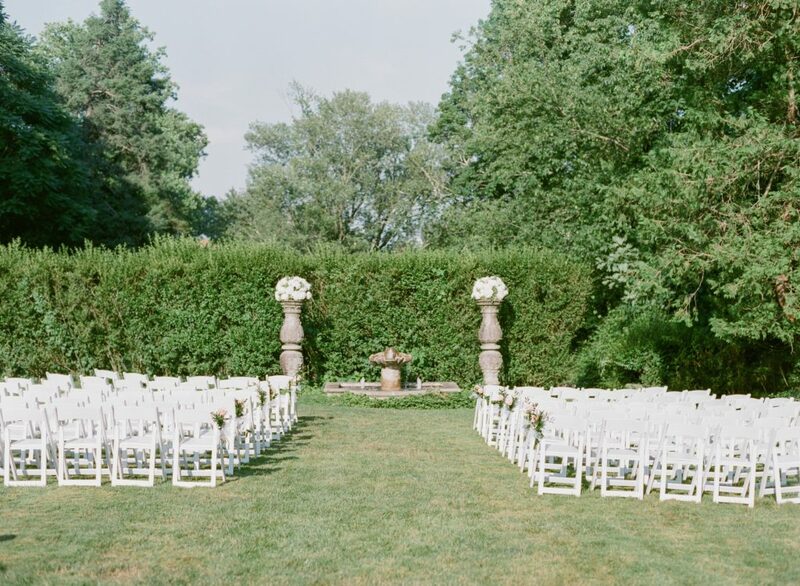 The centerpiece to the gardens is a regal stone fountain that provides a timeless backdrop for exchanging vows. 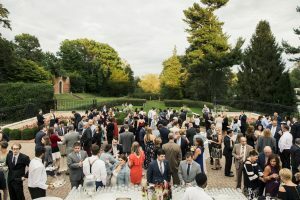 The adjoining Terrace- with its hand-wrought iron railings, seasonal flowering gardens, and exquisite Tiffany glass and metal awning- provides an incredible atmosphere for sipping cocktails. 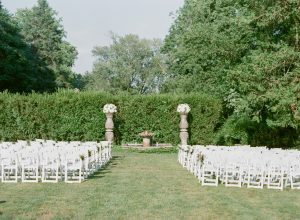 Twice a year, the gardens can be tented for larger celebrations. 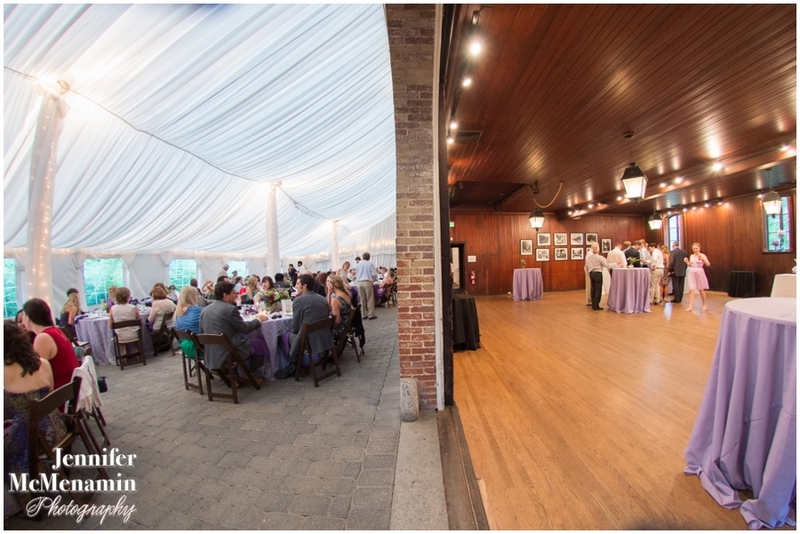 The Carriage House provides an inviting and unique indoor space for dinner, dancing, and activities. 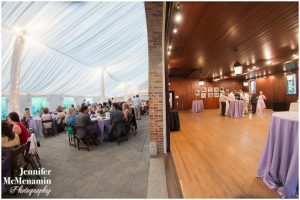 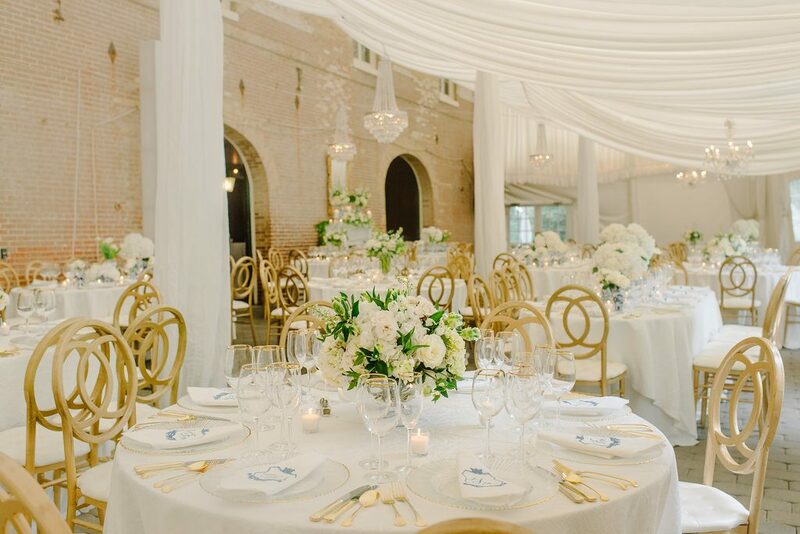 Featuring a Tented Patio that encloses the original brick façade and oversized green wooden doors, a wood-paneled Carriage Room, and two rows of authentic horse Stalls, there are numerous options for customizing the space for a truly unique wedding reception. 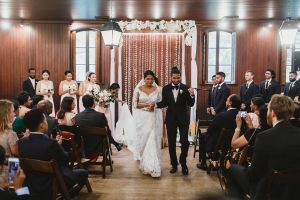 The Carriage House also can be utilized to host indoor ceremonies, cocktail hours, and receptions and provides a rain location for outdoor events. 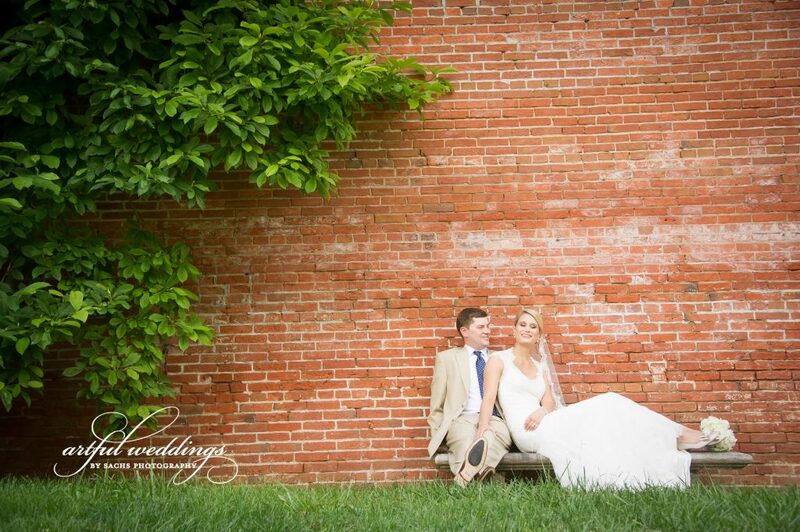 The staff at the Evergreen were so responsive and made our wedding day go so smoothly. 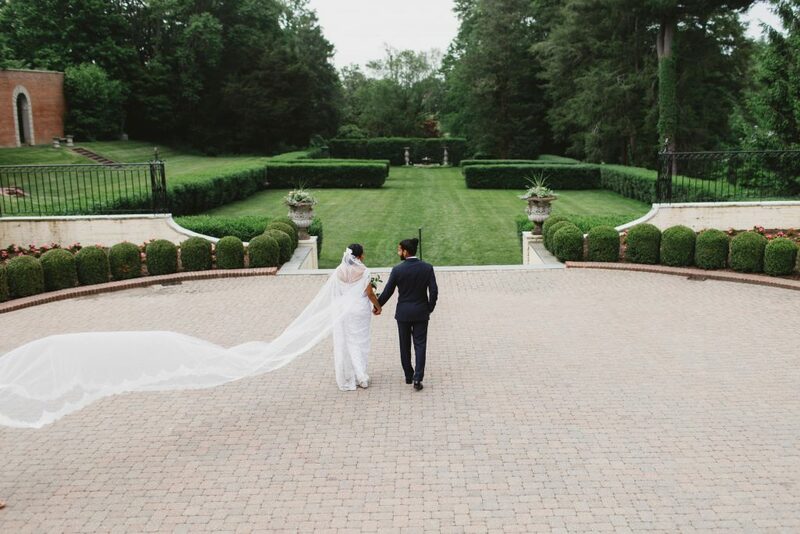 The venue was a dream and has so many amazing, unique features around the property for photos. 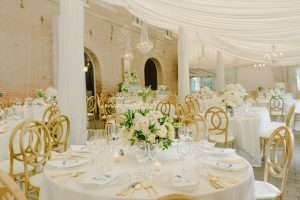 My guests were blown away by how elegant and unique the venue was. 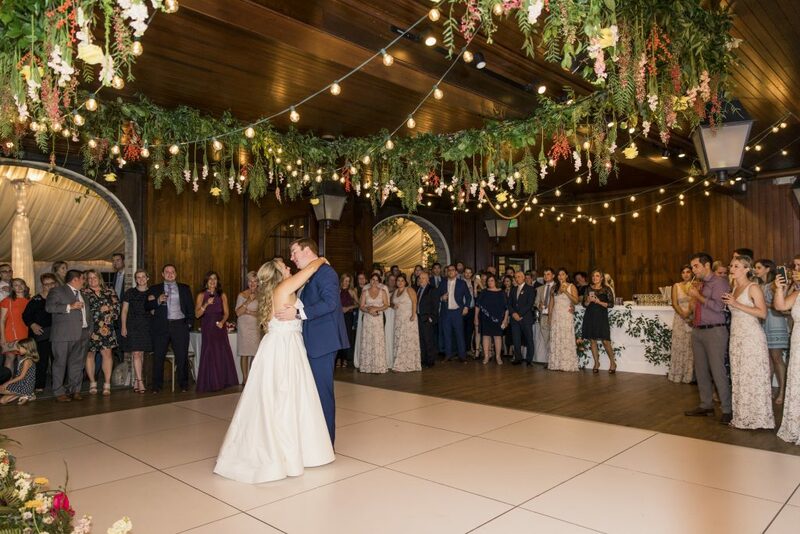 I couldn’t have been happier.